Not only a great museum, but a great building too. The building itself is worth a visit. The Musée d’Orsay is located on the left bank of the river Seine, in the 7th arrondissement (= district) of Paris. The impressionist and post impressionist paintings include works by Edgar Degas, Edouard Manet, Auguste Renoir, Claude Monet, Alfred Sisley, Berthe Morisot, Paul Cézanne, Paul Gauguin, Georges Seurat, Vincent Van Gogh…. The French impressionists : the great revolution of the 19th century, began in Paris in the 1860s. The artists started to break with the academic values of the past. The Impressionist movement has no founder though Manet and Courbet inspired many of the younger artists. 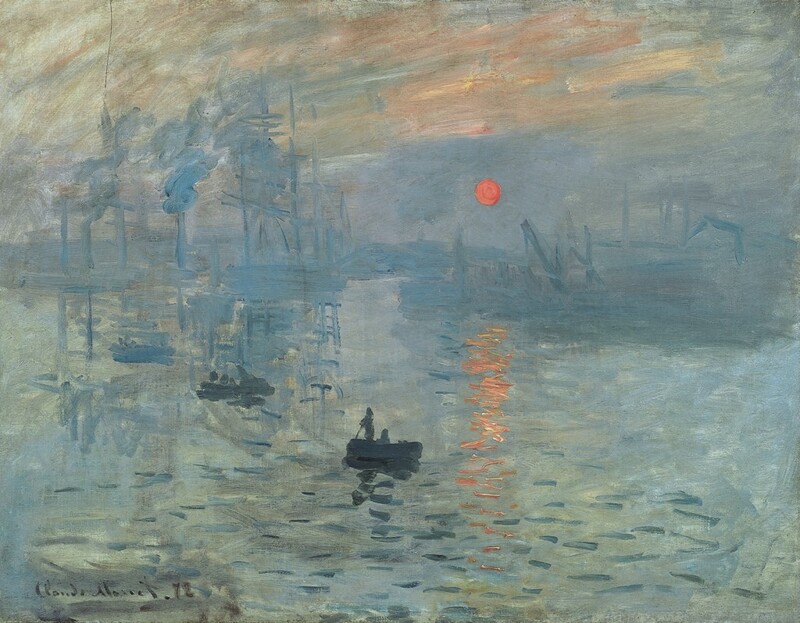 However, one says that the name “Impressionism” comes from a painting by Claude Monet : “Impression” (= “Sunrise »), a view from Le Havre in the mist from 1872. The impressionist artists aimed to capture the impression of what the eye sees at a given moment. Their favourite subjects were : landscapes, and scenes from the urban life. The leading neo-Impressionist was Georges Seurat. It took later generations to fully appreciate the work of the Impressionists. 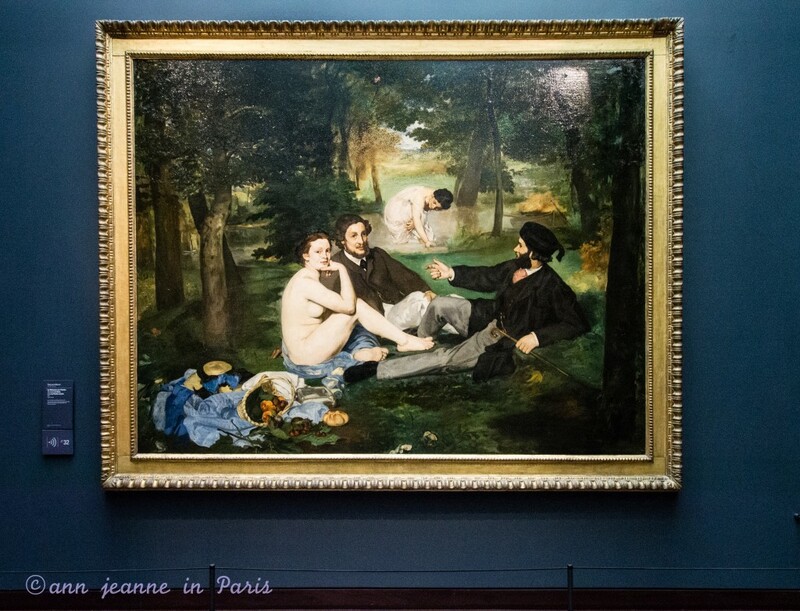 In 1863, Manet’s “Le déjeuner sur l’herbe” was rejected by the officiel salon of that year. Cezanne was rejected all his life. Degas sold only one painting to a museum an dSisley died unknown. Only Renoir and Monet were ever acclaimed in their lifetimes. The museum central aisle : an assorted selection of sculptures of the middle of the 19th century.. and a copy of the Statue of Liberty. 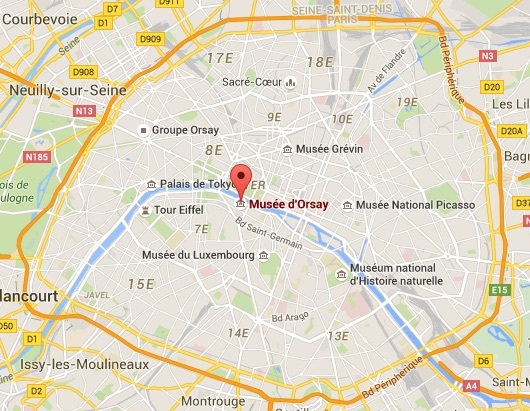 A quick visit of The Orsay Museum before you come ! The museum building was originally a 19th railway station called “Orléans station” after the name of the city of Orléans. 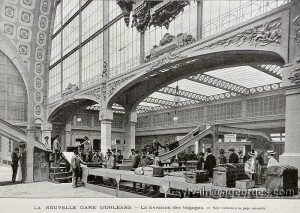 The trains were going from Paris to the city of Orléans. It was built between 1898 and 1900. The railway station closed late 19th century. 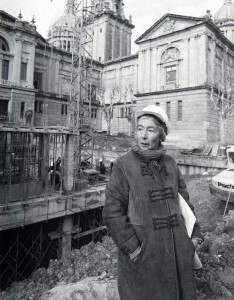 It reopened as the Musée d’Orsay in 1986. Opening time : 9.30 am – 6pm Tues-Sun (9.45pm on Thursdays) Closed on Mondays, on 5/01 and on 12/25 – Last ticket sold 1 hour before closing. You can take photos inside the museum (but with no flash) – A great news for all the photographers ! One of the restaurants called “Le restaurant” is located on the 1st floor. 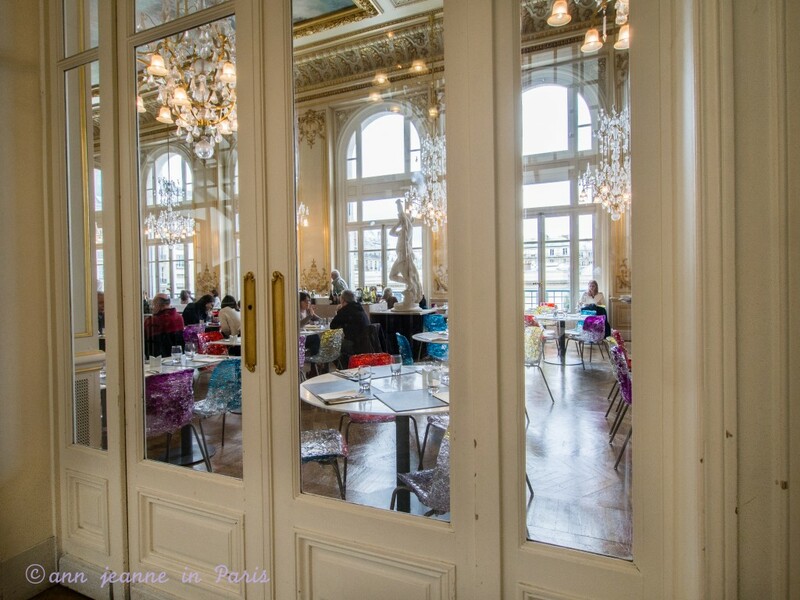 It’s the former restaurant of the Hôtel d’Orsay (which was a part of the Orléans (=Orsay) train station. It is still as it was when it opened in 1900 and is listed as a Historic Monument. No entry fee on the First Sunday of each month. A real must-see on your visit to Paris especially if you are an impressionist art lover. A gem. The architecture is beautiful and the building itself is worth seeing. I love it. But the collection of impressionist and neo impressionist art is fantastic. This is one of my favorite museums in Paris. This museum may be your favorite in Paris !! Don’t miss it. Choose to visit the Musée d’Orsay at opening time. (for a more peaceful visit). The crowd and the queues can be quite large. Better not choose a weekend day. Prepare your visit before you come : look at the map of the museum and choose the artists and paintings you want to see first. Allow a minimum of 2 hours for your visit, A whole morning or afternoon is better. but you could easily spend an entire day looking at everything ! Important : buy your tickets on line It’s highly recommended. Sometimes if you’ven’t got a ticket, you may wait more than one hour.